Janitorial Services - Tesh, Inc.
Tesh provides professional Janitorial, Carpet Cleaning, and Floor Care services to commercial locations in Coeur d’Alene, Hayden, Post Falls and across Kootenai County. Tesh delivers exceptional quality and value to area government offices, commercial offices, and retail businesses. Prompt, friendly service with an eye for detail! 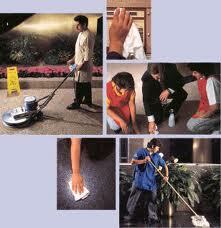 Weekly, bi-weekly, monthly, daily cleaning schedules are all available. Cleaning available between 7:00 a.m. and midnight. Free Estimates are available today. Call (208) 765-5105 and ask for Manager of Commercial Services, Howard Hogan. In this area we can put special information just for employers who may be looking for Tesh to provide labor or something specific to your business clients.